Teacher strikes are not new, but they are on the increase. In 2018, teacher strikes occurred in West Virginia, Oklahoma and Arizona. They also inspired smaller-scale protests by school staff in Kentucky, North Carolina, and Colorado. In 2019, we have seen strikes in Los Angeles (which appear to be settled), and there are rumblings in Denver, Chicago, and Oakland. Motivations for the strikes include increased wages for teachers and support staff, larger school budgets, and smaller class sizes. 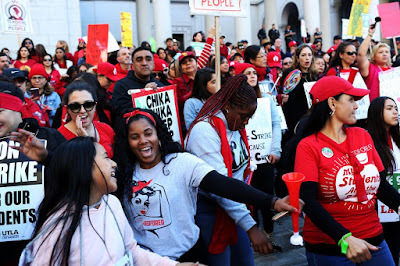 Teacher strikes are difficult for everyone – teachers, administrators, youth, and their families. They are equally difficult for school-based afterschool programs. This was recently reviewed in an article in Youth Today. To learn more, we spoke with an afterschool provider on the front lines about some of the challenges. See below. "The big issue is that after school is being put in a position of frustrating either our teacher colleagues or our admin partners. We have been asked to have our staff come during the day to supervise the children, which annoys the teachers/picket line. If we say no, we annoy the Principal who is asking us for help as a partner. This is a total no-win. 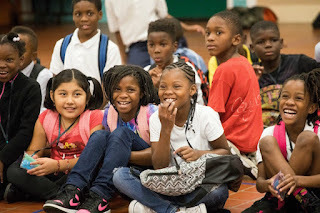 We are working to keep the programs fully operational but only about 30% of students are attending school and you can only attend after school if you come to school. For average daily attendance (ADA) reimbursement contracts, this poses a tough financial situation. We have to keep the program open but get no ADA so we have no revenue. If we furlough part time staff we will lose them. If we pay them to show up but they have no students, we are wasting public and/or private funds. If children need supervision before or after school during the strike, they deserve it. We would love to have the problem of too many kids. It is the opposite. We have many school-based programs. Yesterday the top ADA was 40. We had a few schools with less than 10 and one school where the principal told security to remove all kids from the campus even though the district mandated we run a full program. ADA was zero while our staff had to remain on campus. We will not penalize students who do not come, in any way shape or form. Getting the teachers to understand we are trying to help kids and families by being there for them while we fully support their right to collective bargaining is the hard part. We have no answers but we know we are not alone in really feeling the pain with this strike." Should afterschool providers be asked and agree to expand their hours in order to supervise children due to teacher shortages? Should afterschool providers be asked and agree to increase the number of kids in their programs during a strike? How will afterschool providers respond to a lower ADA? Will they be penalized? Should they furlough their staff? It is important that these issues be considered and guidance be given to afterschool providers in advance of any strike. We look forward to seeing any progress on this and review any comments in responses to this post.